the Nigerian music industry. He is one of the top celebrity in Nigeria. in 2019 and also reveal some more details such as the worth of his houses,cars and more info such as his net worth in Naira and dollars this year. Davido was born David Adedeji Adeleke on the 21st of November 1992 in Atlanta, Georgia, U.S. His father Chief Deji Adeleke is a very wealthy businessman while his late mother was a university lecturer. Davido attended the British International School in Lagos and later studied Business Administration at Oakwood University UK. The Afropop super star who is also a singer,songwriter,and record producer has been in the Nigerian music industry since 2011. His affiliated to record labels such as Sony RCA and HKN Music,he is he owner of DMW records. His is one of the top artists in Nigeria and Africa,he is currently taking the Nigerian sound worldwide,he has also associated with international stars such as Meek Mill,Young Thug,Rae Sremmurd etc. He announced his presence into the Nigerian music industry with hit single in 2011 titled "Dami Duro". As a top Nigerian artist he has a lot of endorsements which includes MTN Nigeria,Infinix mobile etc. 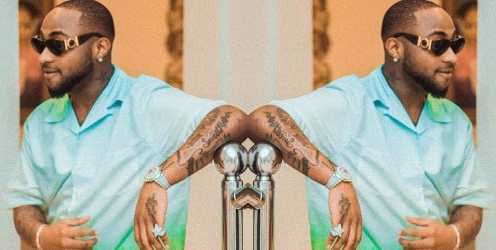 In 2017 Davido won the best African act at the MOBO Awards and also was the first African act to perform live at the awards,on June 2018 he became the first African based artist to have received his BET award on the main stage. He has received over 109 awards from over 110 nominations. Some of his awards include BET Award, a Kora Award, Channel O Music Video Award, Ghana Music Award,Nigeria Music Video Award, 2 MTV Africa Music Awards, 2 African Muzik Magazine Awards, 5 The Headies Awards, 7 Nigeria Entertainment Awards,2 Dynamix All Youth Awards, 4 BillBoards Awards . Davido has two daughters from two different baby mamas. Apart from the fact that Davido was born with a silver spoon,he has also worked hard to make his own fame and money. His father is a Nigerian billionaire business man,nevertheless he has continued to excel in his music career. Davido was ranked in forbes 2017 ranking alongside Wizkid as among the top 10 richest artists in Africa. The ranking was led by Akon who is estimated to have a net worth of $80 million dollars. Davido was ranked as the 8th richest musician in Africa. Davido is said to have a house in Atlanta,Georgia in the United States of America.He also has a house in Nigeria which is located at the Lekki area of Lagos. According to sources,his house which is a semi detached four bedroom duplex costs him about ₦140 Million Naira to build. Some of his cars include an Audi R8 coupe valued at ₦ 15 Million,Porsche turbo (₦ 20 Million) Range Rover Autobiography (₦ 40 Million) Chevrolet Camaro GS (₦ 11 Million) Audi flat back GGX ( ₦ 7 Million) Bentley (2011 Model) ₦ 20 Million,Mercedes Benz Sedan AMG (₦ 35 Million) Bentley Bentayga (₦ 94 Million). This year Davido is estimated to have a net worth of $17 million dollars,Davido’s net worth in naira is approximately ₦ 6.1 Billion Naira.